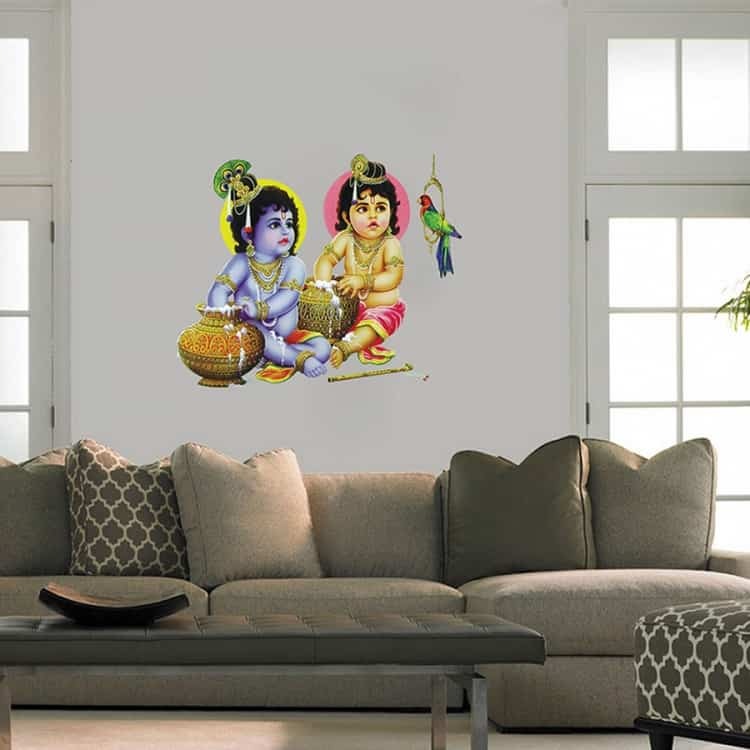 Have Krishna Balaram Sticker on your wall and our product looks like your wall has been hand-painted. 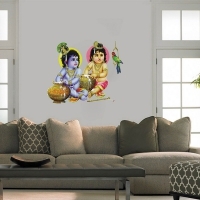 All your family members would love to see this everyday. 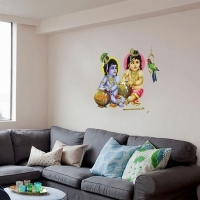 And your guests will think an artist has painted directly on your wall. 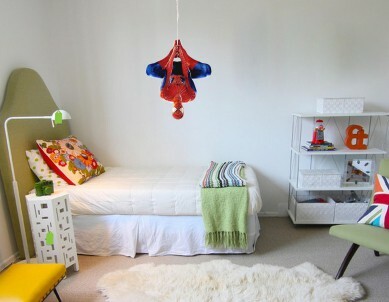 Create an admirable home made possible by our great product. 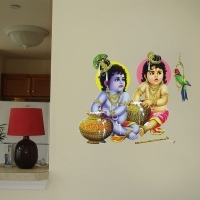 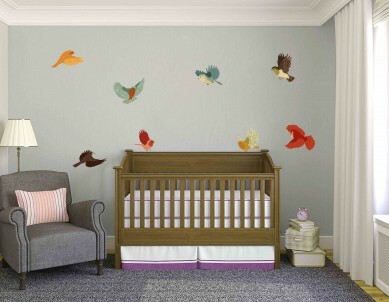 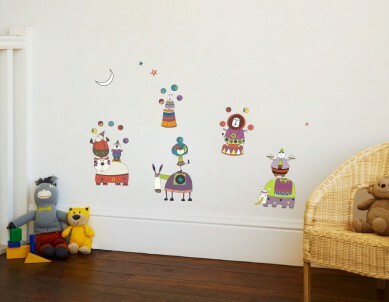 This elegantly painted wall sticker measures 2.5ft in height by 2.5ft in width.